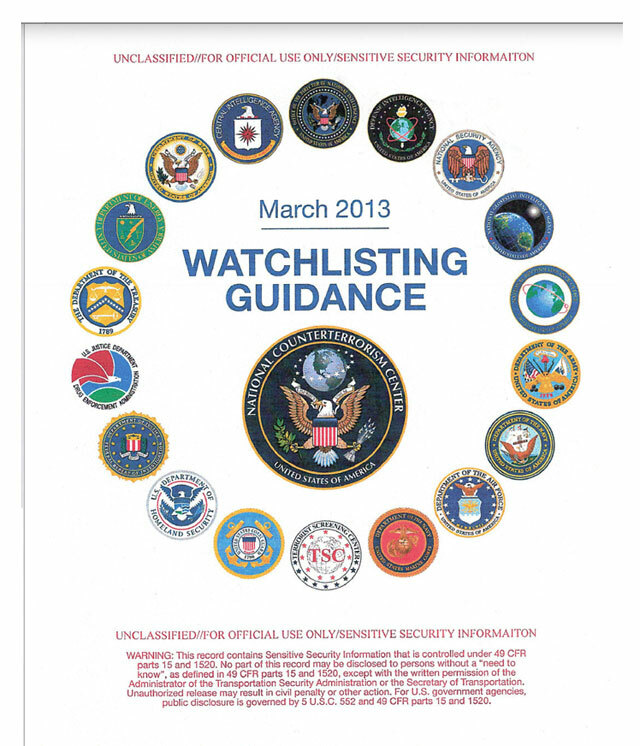 We highlighted the recent report from Glenn Greenwald’s site, The Intercept, about the United States administration’s ’Terror Watch List’, and how "a 166-page document issued last year by the National Counterterrorism Center, spells out the government’s secret rules for putting individuals on its main terrorist database". 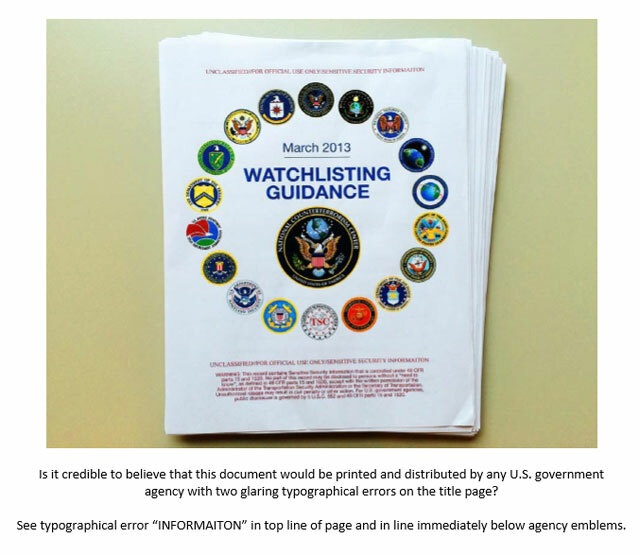 A reader with a sharp eye noticed a strange typographical error on what is supposed to be an official report from the National Counterterrorism Center. The original source from The Interceptis here. It’s an interesting observation … spelling errors on an official report? What does it mean? We put it to you to decide. The more the PTB criminalise the ordinary people, the more will awake...and as you say H, the house rotten house of cards is about to collapse. so a lot of us are on these criminal bastards "list"..so what?, As long as you know who the true enemy is, and it isn't you dear American....besides this whole political ponzi scheme is going to implode from within here really soon, so will be a moot point anyways. Key here is to rebuild WITHOUT THE ASSKLOWN USURPERS OR PRIVATE CENTRAL BANKS!! !